Fantasy face paint looks terrific on Halloween and it can look great on other celebratory days as well; the most important step is making sure that the design matches the particular day. So, for example, if it's Valentine's Day, it makes sense to choose a design of hearts. Likewise, this may not be the best day to debut a perfected spider pattern or ghost shape. No matter what, don't forget to have fun, especially if children are involved. Face painting is truly a fun activity! Kids love fantasy faces, but that doesn't mean that grownups can't get in on the act! Whether you decide to use appliqués (in this case, designs that look like feathers), or actual paint, it looks most authentic if it matches your entire outfit. Deciding to paint both sides of the face, or just one, is a personal decision, but as you can see from this photograph, painting just one side look ethereal and delicate. Who says looking frigid isn't a hot look? This model clearly proves otherwise as she sports deep, almost purple lips, and a dusting of "ice". A completely painted face looks just as fantastic as one that is only half done, particularly when it's a representation of an animal. Mimes always seem to fascinate, and when one adds rouge, the look becomes that much more compelling. 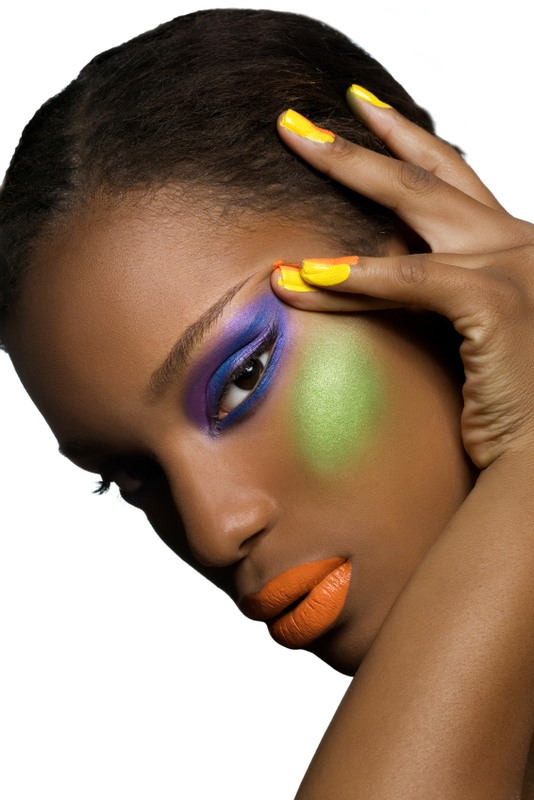 You can switch this look form a sad one to a more neutral face by skipping the smudged paint under the eye. Face paint comes in super handy when dressing up as a cat. Don't be afraid to get creative; the feather-like smudges in silver and grey really do seem to mimic whiskers. Meow! Is there any better example of the magic and beauty these paints create? The look gets even better when you realize that the nose is the "body" of this butterfly. After seeing the adorable expression on this little girl, can there be any doubt that kids love face paint? Why not consider doing this at your next children's party? It's sure to be a hit! There's no need to feel hemmed in by all the cats and butterflies; next time, why not consider a flower? As you can see, it can provide bewitching results! Want to see more? Check out these free face paint designs.